← Bitter Orange (Citrus aurantium): Anxiety Cure? Erythrina velutina: A Leguminous Anxiety Cure? Erythrina velutina is species of tree that belongs to the Fabaceae or legume family of plants. Common names for the tree include mulunga. Erythrina velutina is a perennial deciduous trees that can reach heights of around 10 meters and it grows native to South America. In Brazil, extracts of Erythrina velutina are used in traditional medicine for convulsions and sleep disturbances, which suggests that it may have inhibitory effects in the central nervous system. A number of studies have looked at the behavioural effects of Erythrina velutina extracts in animals. For example in one study, researchers administered ground bark extracts of Erythrina velutina to rats and exposed them to experimental stress. The results of the study showed that the Erythrina extracts had significant anxiolytic effects in the rats that were similar to the benzodiazepine drug diazepam. The authors concluded that the results of the study suggest that Erythrina velutina may have significant anti-anxiety effects in mammals. Studies have investigated the mechanism of action by which Erythrina velutina may cause its sedative and anxiolytic effects. In this regard, evidence suggests that compounds in Erythrina extracts may activate the GABAA receptor, may alter acetylcholine release, and may cause other cellular effects such as changes to the calcium ion concentration in neurones. These may explain the neurochemical effects of the herb. 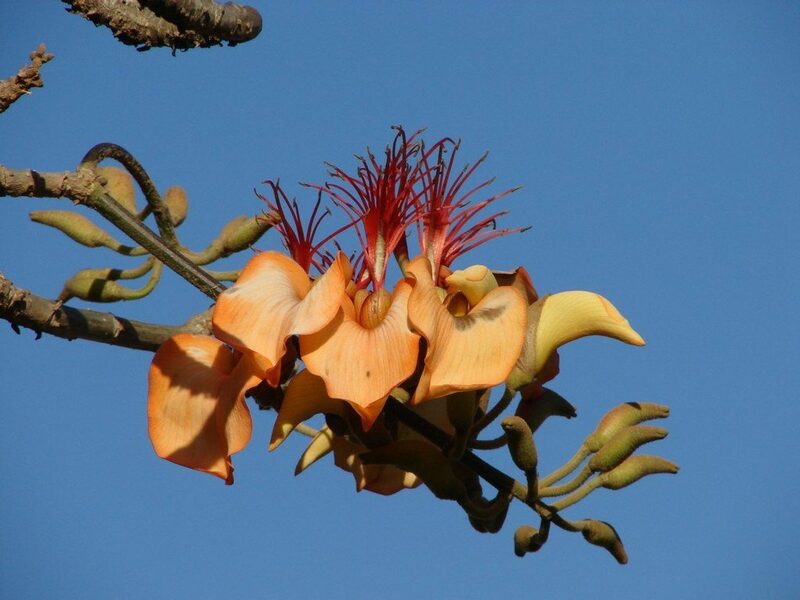 Image is Erythrina velutina tree blossom. Image from: Tatiana Gerus from Brisbane, Australia (Erythrina velutina Uploaded by berichard) [CC BY 2.0 (http://creativecommons.org/licenses/by/2.0)], via Wikimedia Commons. Researchers also investigated the mood elevating effects of Erythrina velutina on mice. Chronic (25 to 26 day) administration of Erythrina velutina extract significantly decreased the anxious behaviour in the mice when exposed to experimental stress. The central nervous system effects of Erythrina velutina leaf extracts have also been compared to those of the benzodiazepine drug diazepam. In this regard the Erythrina velutina extracts showed significant anxiolytic effects, a certain degree of inhibition of the acquisition of but not the consolidation of new memories and also demonstrated anti-convulsant effects in rats. The authors suggested that the Erythrina velutina leaf extracts had similar effects to benzodiazepine, and may therefore be activating the GABAA receptor. Extracts of Erythrina velutina have also been shown to have anti-inflammatory effects in animals. As inflammation is able to cause neuronal damage through activation of free radicals and oxidative stress, this may suggest that the herb is also neuroprotective. In another study researchers administered Erythrina velutina leaf extracts to mice. The extracts were able to significantly extend the sleeping time of the mice, suggesting that Erythrina velutina has sedative properties. However, in this study the sedative properties were only evident at higher doses, at lower doses there was some interference with memorising different tasks. The reductions in the memory of the animal may be due to the fact that Erythrina velutina contains the alkaloid (dihydro-β-erythroidine) that may be potent antagonist of the nicotinic acetylcholine receptor. As activation of these receptors is involved in excitatory and memory enhancing effects in the central nervous system, blockade of the receptor would be expected to have particular sedative and memory inhibiting effects. Another group of researchers showed that extracts of Erythrina velutina had significant sedative effects on mice, suggesting that the historical use of Erythrina velutina as a tranquilizer has some merit. This entry was posted in Anxiety, Depression, Erythrina (Erythrina spp. ), Mood. Bookmark the permalink.